Kongtrul, Jamgön. Chöd: The Sacred Teachings on Severance. Translated by Sarah Harding. 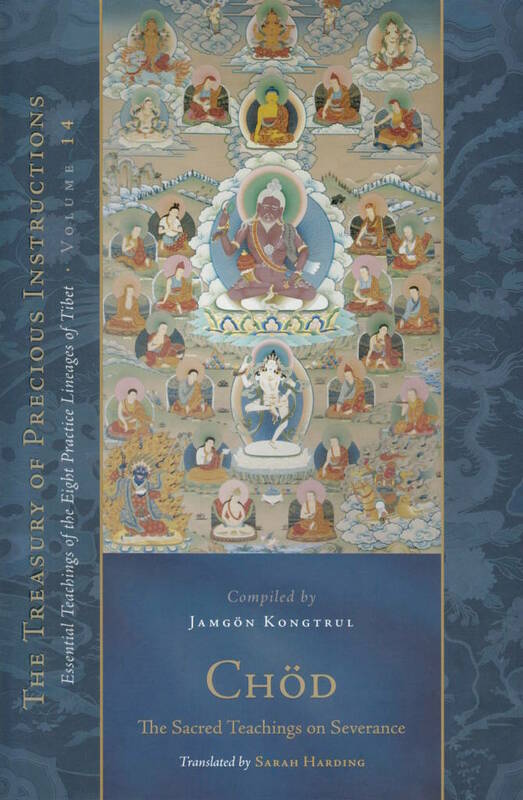 The Treasury of Precious Instructions: Essential Teachings of the Eight Practice Lineages of Tibet, The Tsadra Foundation Series. Boulder: Snow Lion Publications, 2016. ↑ Harding note: The title of this prose set of questions and answers that seem to be just tacked on to Yang tshom is not given until its colophon, and not mentioned in the catalogue of the DNZ, nor is it included in the Limi edition of Yang tshom. I have not found another edition of it elsewhere. ↑ This text, listed in the catalog, does not seem to be included in the available editions of The Treasury of Precious Instructions. This page was last edited on 25 January 2019, at 22:03.